The human nails are made of a few layers of dead keratin protein cells that are similar to skin and hair cells. The hard part of the nail, named the nail plate, helps in protecting the underneath sensitive skin named nail bed. Fingernails normally grow an average 2 to 3 mm each month, whilst toenails grow about 1 mm each month. There are many factors impacting how fast nails might grow, which are age, location, season, hormones, health and cutting. Also, faster nail growth could be seen among children before puberty and pregnant women as well. If you have poor or slow nail growth, then it may be associated with breakage, brittle nails, splitting as well as other nail problems. To help you nails grow at a healthy pace, following a diet plan and a proper nail-care regime is an important step. 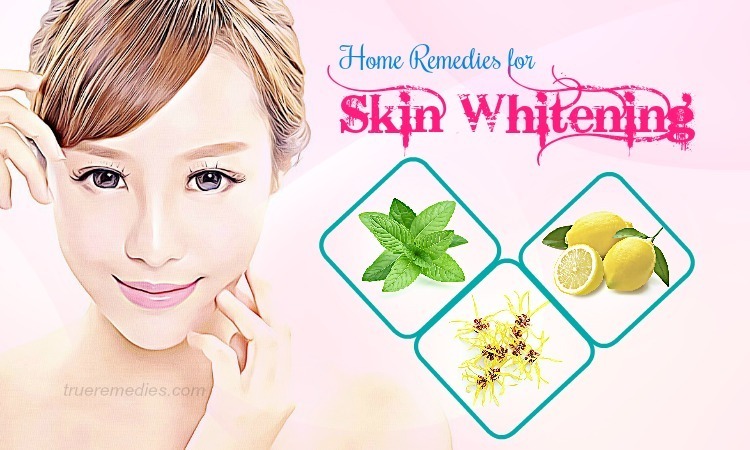 Also, there are some home remedies for nail growth and strength using simple ingredients. 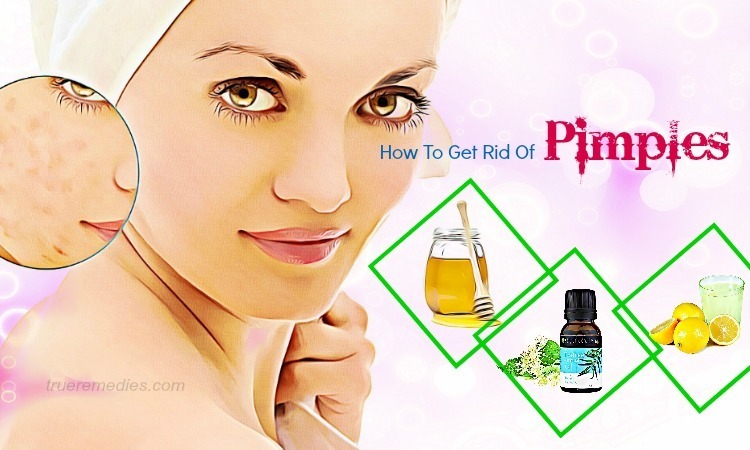 This article from TrueRemedies.com will reveal to you how to use those natural ingredients to increase your nail growth at home. Check out below! 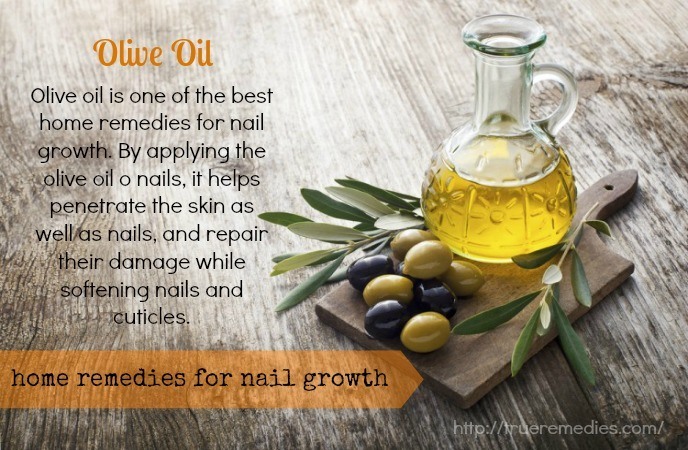 Olive oil is one of the best home remedies for nail growth. By applying the olive oil o nails, it helps penetrate the skin as well as nails, and repair their damage while softening nails and cuticles. It is because olive oil is rich in polyphenols with anti-fungal and antibacterial properties, which help in moisturizing and strengthening the fragile fingernails. Olive oil is good for cuticles and used in a large number of nail salons. After using a nail polish remover, you can rub some olive oil over your fingers and nails to help keep your cuticles and nails intact and soft. Massage your fingers and nails with warm olive oil daily to retain the moisture in addition to improving blood circulation and giving your nails a shine. The tomato will boost the growth of nails while olive oil imparts its moisture to cuticles and nails. Coconut oil is another suggestion for those who are looking for home remedies for nail growth. Using coconut oil will warrant that your nails do not lose excessive water and look great. That is because of the nutrients available in this oil which can help strengthen the nails and cuticles and give shine to your nails. Soak your nails in the solution for 15 minutes. Make sure that it is lukewarm, not hot because it may cause further damage than boosting the nail growth. Do this method for 2-4 times per week. The best time to use coconut oil for nails is before going to bed. Remember to clean and properly dry your nails before application of coconut oil to take its maximum benefits. Because orange juice has folic acid and vitamin C which can be beneficial for nail growth, it is an excellent solution to get your nails to develop more quickly. Lemons have a high content of vitamin C which can make your nails supply and soft. Also, it helps in treating yellow nails and giving the nails a natural shine. Lemon, garlic and olive oil can accelerate the development of nails and prevent fungus growth while maintaining healthy, strong nails. 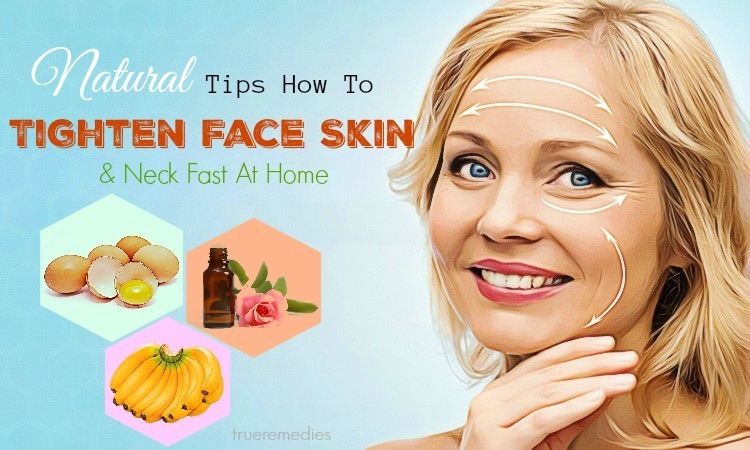 You can use either of these methods because they are easy-to-prepare, economical and natural. Warning: avoid rubbing lemon on your nails if you have hangnails and cuts, because it might sting. Horsetail is filled with silica, which can aid the growth and strength off nails. For centuries, people have made use of horsetail tea for nail health while applying it topically. Horsetail is highly valued for its benefits because of a number of great minerals as well as other nutrients like manganese, flavonoids, iron, calcium, fatty acid, saponins, tannins, glycosides, alkaloids, and silica. Horsetail is similar to Alfalfa plant which absorbs unique chemicals from the earth, including silica which is not found in other plants. Repeat this routine 4 times per week to get your desired results. Drink horsetail tea once per day to boost the healing process. Similar to dietary supplements, horsetail is safe if taken in the short term and in moderation. If you take any other medication or supplements, consult with your doctor before using horsetail. Besides, people with the deficiency of vitamin B or alcoholics should avoid using horsetail because it has enzyme and thiaminase. Using horsetail in the long term or overdose can damage thiamine B1. Avoid taking horsetail supplements if you are using any type of nicotine patches or are sensitive to nicotine because horsetail has nicotine properties which might result in overdose of these ingredients, leading to serious health issue like low potassium and dehydration, or symptoms of nicotine overdose like cold hands or feet, rash, fever, abnormal heart rate, weight loss, etc. Pregnant or lactating moms as well as children should avoid taking horsetail as it has nicotine content. There are a wide range of vitamins necessary for nail growth. One of them is biotin, also known as vitamin H. Biotin can boost the growth of nails and hair because it improves keratin infrastructure. The slow nail growth and nail abnormalities such as thin, weak, and brittle nails are linked to the deficiency of biotin. You can find biotin in foods like whole grains, eggs, carrots, tomatoes, cauliflower, almonds, salmon, soybeans, milk, strawberries, lentils, walnuts and oats. Or, you can take a supplement of biotin with the consultation of your doctor. Stinging nettle is an abundant as well as nourishing herb which has been widely used as food and medicine as well for centuries. This herb is known for its high mineral content, supporting healthy nails, hair and skin among other things. Drink the tea every day to get good results. Remember that the long steeping time will allow for a more nutrient-dense tea, whilst the hot and cool water will pull out different constituents from this herb. Following a nutritious diet which is rich in essential nutrients could keep your nails and hair healthy. 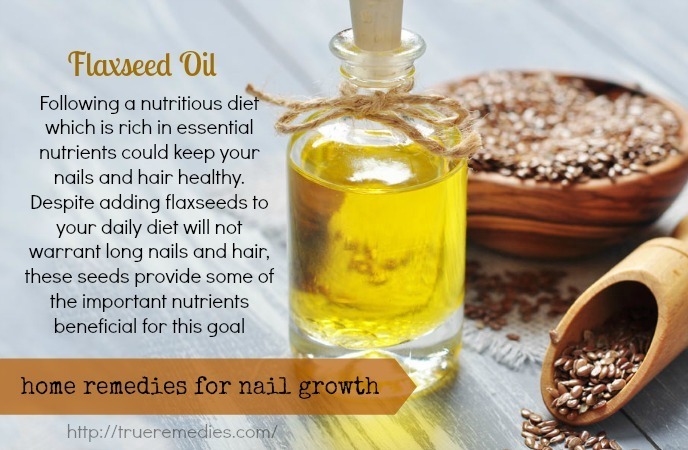 Despite adding flaxseeds to your daily diet will not warrant long nails and hair, these seeds provide some of the important nutrients beneficial for this goal, including thiamine, magnesium and omega-3 fats. Omega-3 fats can help control the inflammation while nourishing yours scalp and keep your hair growing and elastic. These fats also help your nails grow properly and keep them from splitting. According to the Academy of Nutrition and Dietetics, it is recommended to take from 1300 to 2700 g of alpha-linoleic acid (ALA) each day for each 2,000 calories you take. Thiamine and magnesium are crucial for nail growth that you hardly find anywhere else. Upon using flaxseeds, choose the ground flaxseeds, not whole because they whole type may pass through your body undigested. As a result, you will not be able to absorb much of their nutrients. Apply this method once or twice per day. People with hormone-sensitive cancers, prostate cancer, and endometriosis should consult their doctor before using flaxseed, as it is not clear about the influences of these seeds to those conditions. Flaxseeds might interact with birth control pills diabetes medications, hormone replacement therapy, and blood thinners; therefore, check with your healthcare provider to make sure increasing your flaxseed intake will not be harmful for your condition. Tomatoes with heir high amounts of lycopene and biotin are beneficial for nail growth, giving the nails a shiny, healthy look. Furthermore, they are rich in vitamin A and C. Consume tomatoes in the raw form if you are possible of, because cooking them could damage the vitamin C. Tomatoes will not only make sure you have strong nails, but also add bonus to your skin health as well. To take advantage of tomatoes for nail growth, you just need to make a fantastic nail soak from this plant. Soak your nails in the solution for 5-10 minutes to help moisturize and boost the natural color of the nails. Because nails are made up of a protein named keratin. Thus, by adding more protein to your daily diet, you could increase nail growth. The deficiency of protein could result in white spots on the nails, making them weak. Nuts, legumes, seeds, green veggies, spinach also contain protein. They are also good choices for vegetarians. Drink protein shakes or add more protein powder to a milk glass. But, take any protein supplements with the supervision of a doctor. Vitamin B9 or folic acid is necessary for cell growth. It means that it could help you grow the nails naturally. Folic acid could be taken from foods like eggs, beets, citrus fruits, and leafy greens. To warrant and boost healthy nail growth, you should consume 400 to 500 mcg of folic acid daily. This vitamin is vital for the strength of tissues, bones, nails and teeth. Also, it is a popular antioxidant that flushes out the toxins causing damage within your body. Vitamin A could be found in foods such as spinach, grapefruit, apples and yams. It could also be found in meat options like liver, eggs, or milk as well. Do you remember when your mother told you to consume oranges to avoid catching colds? That was because of the vitamin C content in orange. Orange or other citrus fruits are high in vitamin C, which is good for warding off bacteria. Also, it is a strong antioxidant. Consuming foods containing vitamin C or taking supplements of vitamin C is important because the human body does not produce this vitamin. It could be found in citrus fruits, blueberries, tomatoes, strawberries, and leafy greens. The minerals like zinc and copper are vital for the growth of bones and nails. Those could be found in oats. To be honest, it is very easy to add oats to your daily diet. Just simply switch your bowl of cereal with oatmeal and some fresh fruit to reap their benefits. Sunflower seeds are a rich source of nutrients. Having minerals such as manganese and copper, sunflower seeds could encourage the production of connective tissues in the bones as well as cartilage. You could also sprinkle them onto salads, bread, or anything you want. There is no wonder that the yellow-color bananas can boost energy level because of its rich potassium amount. This fruit is loaded with zinc and silica, which are able to improve he feel and look of nails and strengthen them up. 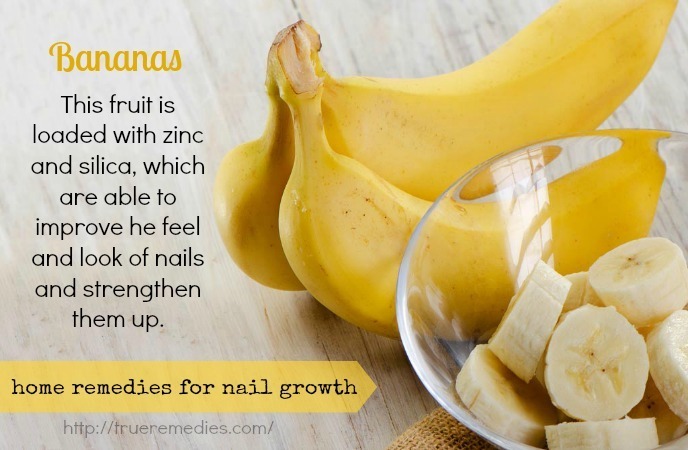 Also, bananas contain vitamin B6, the famous vitamin for supporting healthy, shiny nails. You could reap the benefits of bananas by adding them to your morning oatmeal or cereal, or you could enjoy them as a mid-morning or mid-afternoon snack. Sweet potatoes are a powerhouse of beta-carotene as well as antioxidants which are important for the human body. They could boost the immune system and enhance healthy and strong nails. Sweet potatoes also have a high content of antioxidant beta-carotene which will be converted to vitamin A. The deficiency in vitamin A could result in brittle and dry nails. Or, you could also bake and roast sweet potatoes to take their benefits. Among home remedies for nail growth, this sounds too simple, but water does help. Dehydration has a big influence in the overall health of your body, including your nails. Dehydration could result in weak nails and cuticles. In order to prevent this problem, you need to drink 8-10 glasses of water every day. Add more fruits and veggies which are high in water to your daily diet. Avoid drinking coffee, tea, alcohol, and carbonated beverages because they might trigger dehydration. Blackstrap molasses is bittersweet syrup which was a popular natural sweetener till the late 19th century when the table sugar gets popular. Unlike popular sweeteners, blackstrap molasses is really good because it has vitamins and minerals naturally found in cane sugar plant – the nutrients which are removed away during the process of refining to create white sugar. To have quick growth of healthy nails, you can add 1 tablespoon of blackstrap molasses to a cup of warm water or tea or any other beverage of your choice. Then, drink the solution once or thrice per day for good results. Massage vitamin E oil onto your nails and cuticles for 5 minutes every day before going to bed. After 2 weeks, you will see a big improvement in the growth rate, appearance, strength of your nails. To prevent nail infections, keep your nails as well as cuticles clean and dry. Get your nail infection treated instantly. Do not bite your nails or pick at the hangnails. Consume a healthy diet for strong and healthy nails. Drink more green tea to improve your nails’ quality. Trim and cut your nails regularly to make them grow faster. Choose frequent manicures to boost faster growth of nails. Do not use nail polish containing toluene, formaldehyde, or sulfonamide. Expose the nails to early morning sunlight to get your body to create vitamin D necessary for nail growth. Take multivitamins to boost nail growth. Do not use dark-colored nail polishes because they might make your nails turn yellow over time. Keep your hands warm because if they are cold, your nails will grow slowly. Particularly, during colder months, have pair of warm gloves in hands to make sure your hands stay warm. That way, blood will circulate to your fingernails and your nails could develop more quickly. 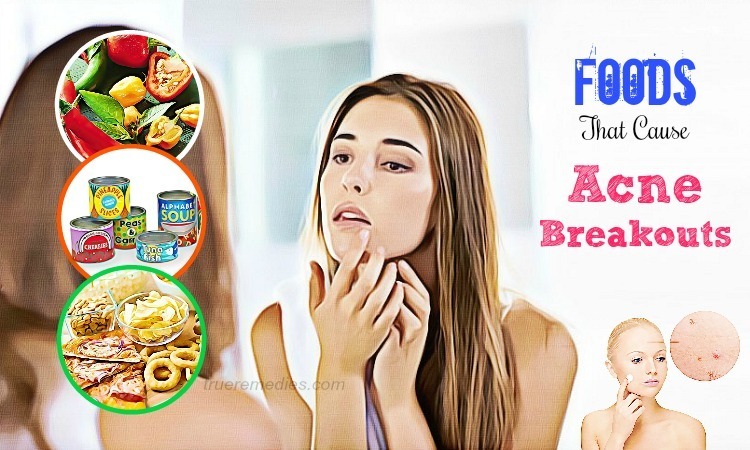 There you have known 20 out of best home remedies for nail growth and strength which use natural ingredients that are safe and easy-to-find in most health food stores. Eating the right foods and caring for your nails will make a big difference. Follow these home remedies for nail growth and let us know what worked for you by leaving your ideas below this post. We will respond as soon as possible. 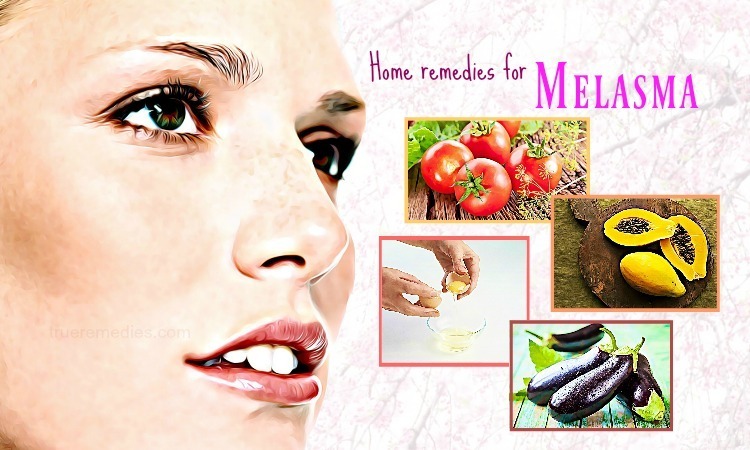 For more natural home remedies for common health issues and diseases, feel free to visit our Home Remedies Page.